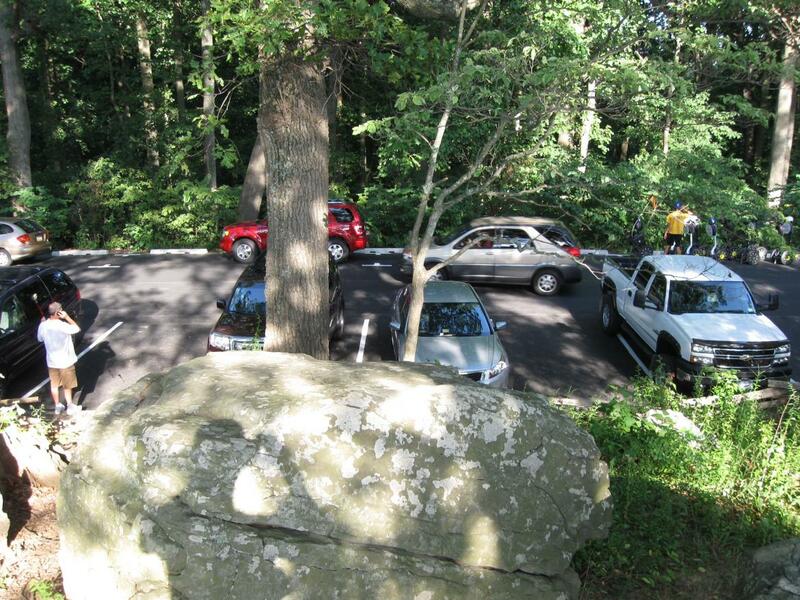 Parking on Little Round Top during the busy summer months at Gettysburg National Military Park is always interesting, but a recent oversight has led to increased frustrations for visitors attempting to park on the hill. This view was taken facing east at approximately 5:15 PM on Friday, July 2, 2010. During the warmer months, National Park Service contractors perform the majority of their roadwork (a list of avenue closures through the end of this week can be found by clicking here). 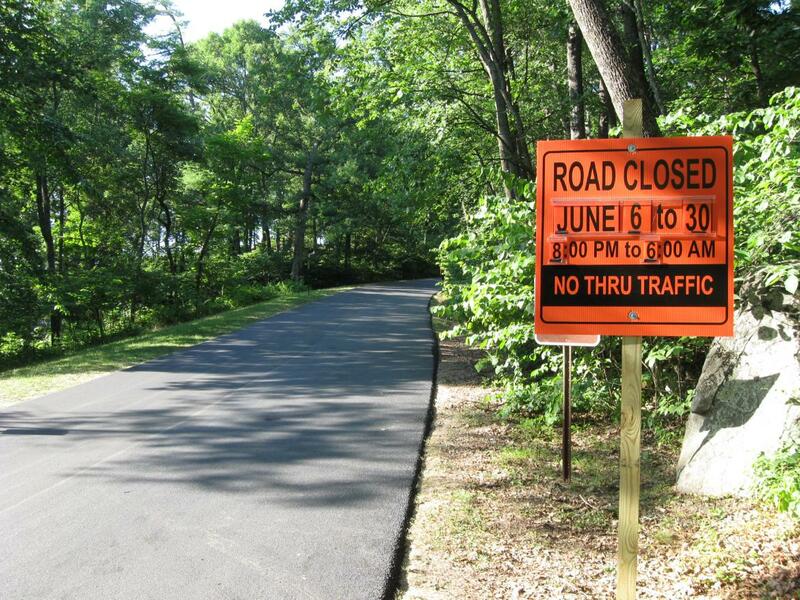 Contractors on Little Round Top have made a mistake during the repaving and relining of Sykes Avenue. The new parking spaces are leading to increased frustration. 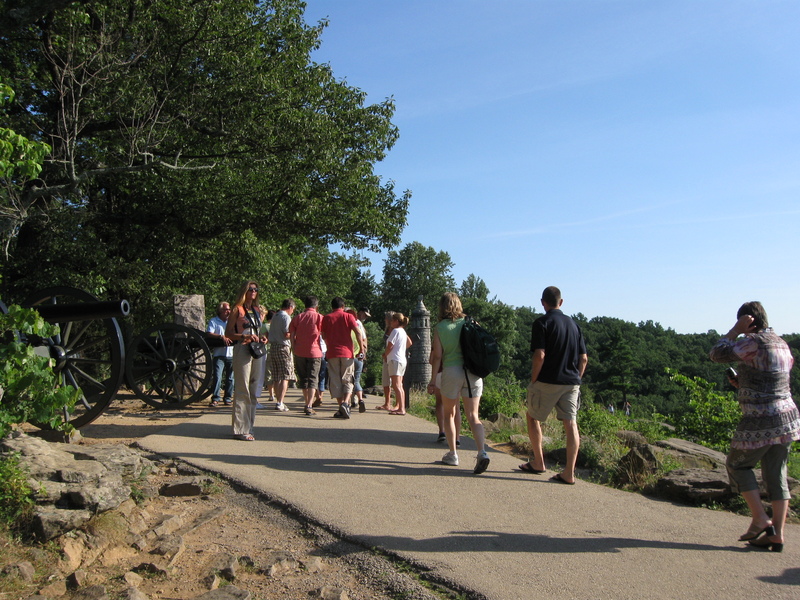 Though it might be obvious, Little Round Top is one of, if not the most-visited location on the battlefield. During the weeks before and after the anniversary of the battle, a great number of visitors in the afternoon is not unusual. This view was taken facing south at approximately 5:15 PM on Friday, July 2, 2010. 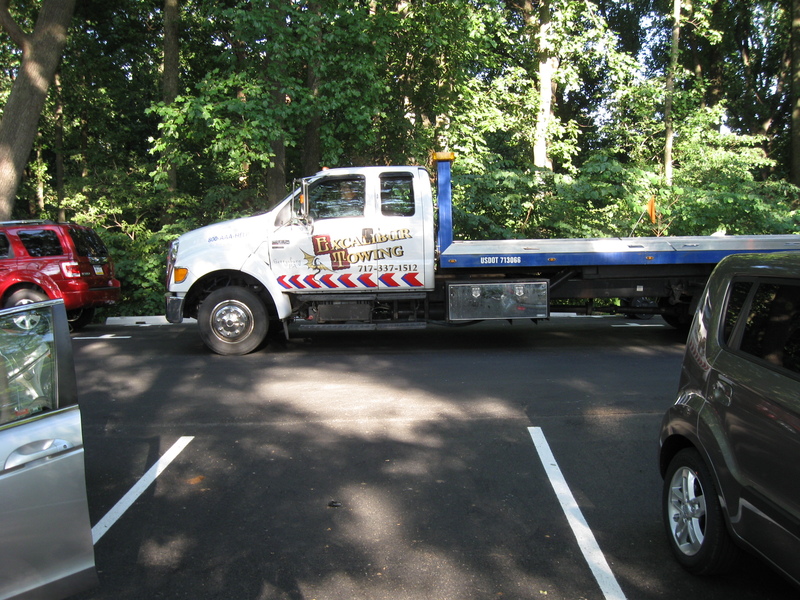 Because of the heavy traffic on Little Round Top, the National Park Service contractors performed their work at night. Here is some fresh pavement where Sykes Avenue climbs the hill. This view was taken facing north at approximately 5:15 PM on Friday, July 2, 2010. 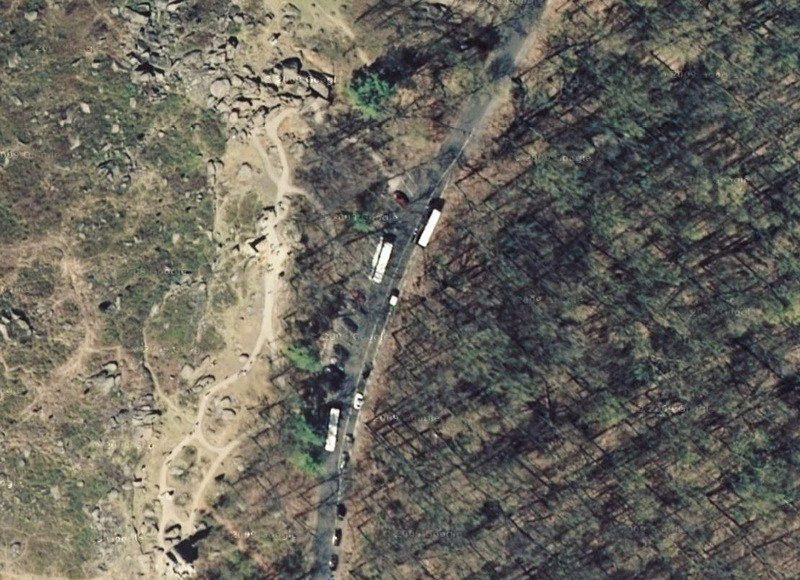 Here is a satellite photo from Google Maps that shows how parking lines used to be. 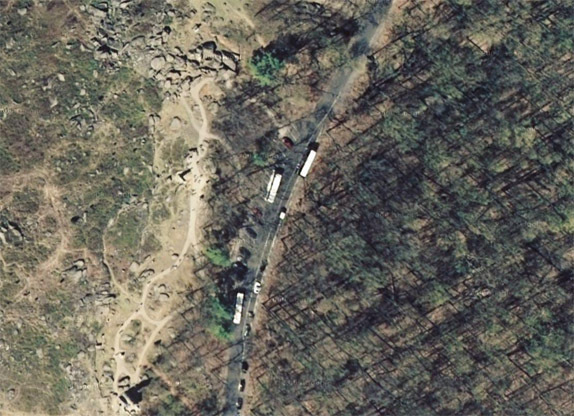 Notice that the cars parked on the hill are parked diagonally. This facilitated entering and backing out of parking spaces without the hazard of cars and buses parked along the right side of the road. This view is from Google Maps. 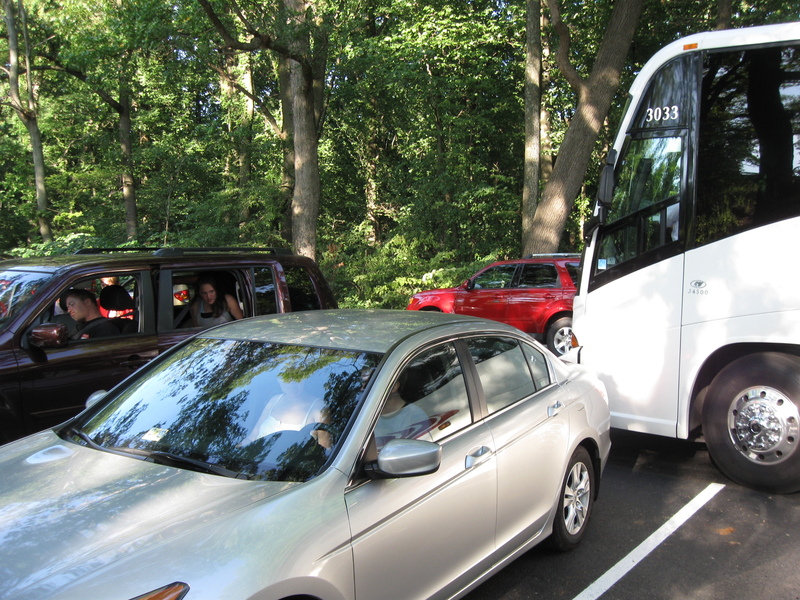 According to the National Park Service memo which we received last week, the National Park Service contractor, while “trying to finish the repainting of the parking stalls for the visitors before the battle anniversary… misread the drawings that required angled stalls to be put back in at the BRT (Big Round Top) and LRT (Little Round Top) parking locations. This view was taken facing east at approximately 5:15 PM on Friday, July 2, 2010. So the white lines are how the contractor painted them. The red lines are roughly how the lines should have been painted. The NPS memo on the lines continued, “The stalls were painted in a perpendicular orientation which makes for difficult turns into and back out of the parking stalls. 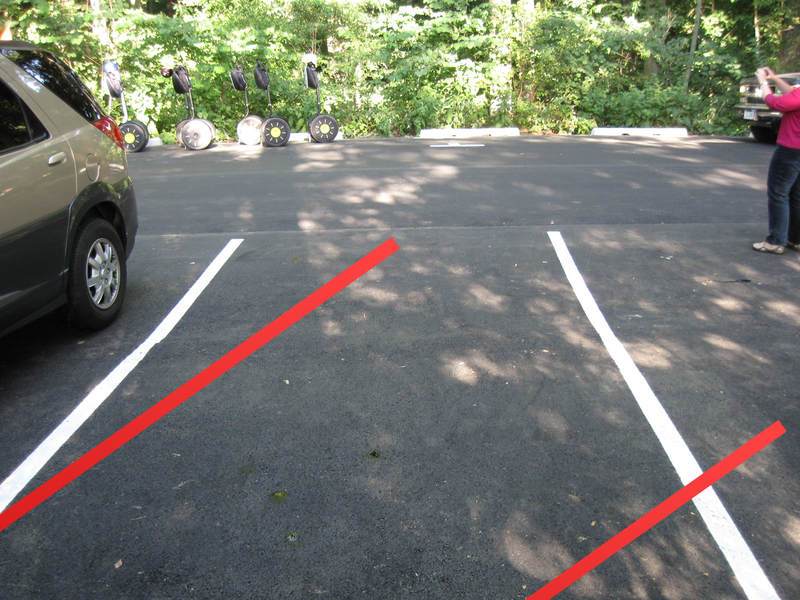 We have had complaints and will continue to get complaints on these parking stalls. We will get this corrected but it will take days to weeks to get this work rescheduled.” This view was taken facing east at approximately 5:15 PM on Friday, July 2, 2010. This made for significant traffic tie ups during the anniversary this week. Estimates to get the lines repainted range from this week to three weeks from now. This view was taken facing east at approximately 5:15 PM on Friday, July 2, 2010.